Political disagreements in the EU are growing as the economic policy vision of Germany and France is opposed by other member states. 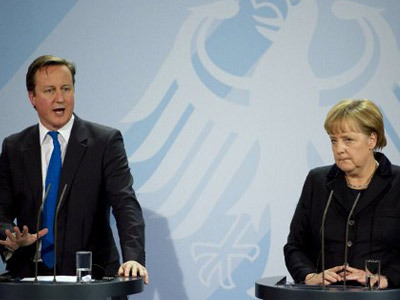 The “coalition” of 12 states led by Great Britain has come up with a new strategy to boost the EU’s bleak finances. 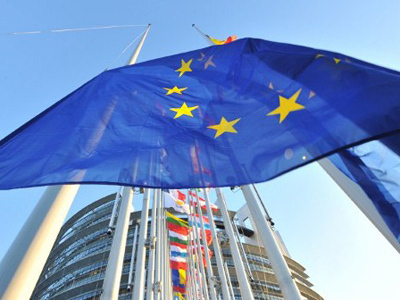 In a letter addressed to Herman Van Rompuy, President of the European Council, and Jose Barroso, President of the European Commission, they are calling for reforms and deregulation. The letter outlines a slowdown in economic growth and rise in unemployment across the EU as the matter of biggest concern, while Europe’s “major competitor economies grow steadily out of the gloom of the recent global crisis”. In 2011, the US economy grew 1.7%, Russia’s GDP increased by 4.3%, and China’s by 9.2%. The European Commission has forecast that economic output in the eurozone will contract 0.3% this year, reversing an earlier forecast of 0.5% growth. According to the Commission, Germany and France are likely to escape recession this year. The authors proposed eight steps to stimulate growth and get out of the economic downturn. The open market concept of integrated services market, a digital single market, effective internal energy market, are seen as essential components of the growth strategy. Key to reviving growth is a reduction of the EU regulation burden on small businesses, and further promotion of labor markets. The 12 leaders also stress the need for the liberalization of international trade, calling for deepening “trade and investment relations with Russia, following its accession to the WTO”. One of the main focuses was the financial services sector. The leaders got back to the moral hazard problem, saying that bank bailout guarantees by the state should be reduced. This would mean that banks would be allowed to go bankrupt. To avoid credit risks in financial institutions, governments ”should commit to international binding Basel 3 standards and implement the G20 principles on banking sector remuneration”. Earlier, Germany’s Angela Merkel and France’s Nicolas Sarkozy proposed a softer rules implementation of the Basel III accord so that lending to the economy would not be cut. Germany and France are supportive of financial transaction tax, which Great Britain views as an impediment to financial market growth. Analysts say the leaders published the letter as they wanted to send a signal to their nations that along with austerity measures, they are still seeking a way out of the crisis through a single and more open Europe. Some observers say the letter was a move by British leader David Cameron to revive his ability to influence the economic agenda in the region after the UK refused to sign a fiscal treaty scheduled for March 1.